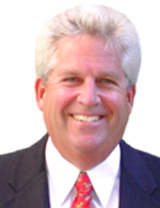 Barry Wishner is a CEO, business consultant, speaker and confidant to “C” suite leaders. His in-depth interviews of 350 Fortune 500 CEOs, and 2000 high-powered business leaders, news-making entrepreneurs, and ground breaking innovators reveal the most important questions successful business leaders ask and how they act on the answers. As an observer and commentator on executive level thinking, Wishner distills the wisdom of leaders at the top into everyday language. In his keynote presentations, he tailors his message to each audience, creating an interactive, fast paced, highcontent, program that provokes leadership teams to Shake Things Up! He gives his audiences… The COURAGE to ask tough questions that challenge all business assumptions. The BACKBONE to break free of the status quo. The PERMISSION to put everything you’re doing on trial. The THUMBS-UP on throwing out the old-rule book. The GREEN LIGHT to doing what it takes to get things DONE! After graduate school Barry served as a Captain in the Air Force as a hospital administrator under the Surgeon General. He has been an adjunct professor at Golden Gate University (where he lectured on High Performance Leadership), and City College of San Francisco Business School. Barry has delivered more than 2000 keynote speeches to leadership and management audiences in corporations, associations and professional organizations. His client list includes a variety of industries and includes Fortune 500 companies such as Microsoft, GE, UnitedHealth Group, IBM, Oracle, Berkshire Hathaway, General Mills, McKesson, J&J, MetLife, Sysco, Johnson Controls, USAA and Medtronic. A newsmaker who is often featured in USA Today, The Los Angeles Times, San Francisco Chronicle, and CNNFinancial News. The Power To Execute Change! The old maxim 'change or die' has never been more true than today. Imagine you had the ability to get inside the minds of over 350 Fortune 500 CEOs and learn how they drive their people to execute change faster in a world of flux and disruption. Barry has uncovered how successful leaders do more than SAY smart things, they DO smart things and reveals how they do it. Bold leadership is today's competitive edge and Barry reveals how the world's smartest leaders avoid DITWLY - Did It That Way Last Year, and put everything they're doing on trial. He will help your people discover things for themselves. Using bold moves and breakthrough thinking he guarantees to get you unstuck and provide smart ways to lead differently. Becoming #1 in Business is Easier Than Staying #1. Why do some companies and their leaders prevail in uncertain times while others do not? Hear the "story behind the story" on how America's most innovative leaders get to the top and stay there year after year. Leave fired up to think and act like a champion! Asking the right questions about the future is more important than having the right answers about the past. Barry shares the most Compelling Questions tomorrow's leaders will ask to inspire and motivate their teams to... Stop Talking. Stop Waiting. Start Doing to get the results they want. aka... You Can't Talk Your Way To The Finish Line	Imagine you had the ability to get inside the minds of over 350 Fortune 500 CEOs and learn how they drive their teams to execute change faster in a world of flux and disruption. Barry Wishner, CEO of ProFormance, interviewed over 350 Fortune 500 CEOs and 2000 high-powered business leaders, news-making entrepreneurs, and ground breaking innovators. He has uncovered how Successful Leaders do more than SAY smart things, they DO smart things. Barry reveals how these world class leaders question all business assumptions and practice organized abandonment, avoid DITWLY "Did It That Way Last Year," and Psychosclerosis "Hardening of the Imagination." Success is focusing on What's Worth Doing vs. What's Doable! Planning strategy is easy, executing it is the tough part. No matter how brilliant the strategy, the saying of the words is no substitute for the doing of the deeds. In today's fast moving competitive business environment, talk is cheap... Getting It Done Is Priceless and Executing Change Is The Lifeblood of any organization. Barry's fast-paced, high-energy, interactive, content-rich, entertaining program is guaranteed to leave you, excited to Execute Change and Make Things Happen! Great Ideas Demand Great Execution!